"I would like to say a big thank you to Prof. Stojanov for his knowledgeable advice in the meaning of the indepth MRI a CT analysis, which he provided me. Professor Stojanov replied within one day a provided me a detailed report with explanation of current status and expected results, as well as some details about medical treatment and convalescence. I would like to stay in touch with Prof. Stojanov in case if further consultation is needed. Many thanks again." I currently work as neuroradiologist and radiologist on MR, CT and X ray modalities as well as interventional neuroradiologist with Institute of Radiology, Clinical Centre of Nis. I also work as associated professor of Radiology with Faculty of Medicine University of Nis, Serbia and associated professor of Radiology with Faculty of Medicine, University of Banja Luka, Bosnia and Hercegovina. 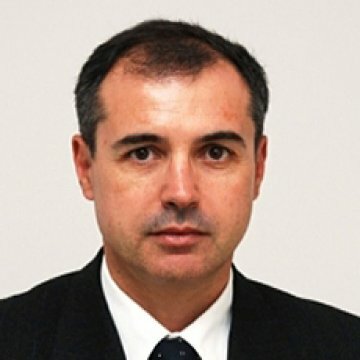 I would like to say a big thank you to Prof. Stojanov for his knowledgeable advice in the meaning of the indepth MRI a CT analysis, which he provided me. Professor Stojanov replied within one day a provided me a detailed report with explanation of current status and expected results, as well as some details about medical treatment and convalescence. I would like to stay in touch with Prof. Stojanov in case if further consultation is needed. Many thanks again. I thank you for your MRI Brain analysis. It was very useful for me. It has dissolved my worries about my medical problem. Your analysis made me confident that my brain is all right and I can focus on searching for a different problem. The analysis was done professionally, and quickly. I would definitively use your services again, if needed. I wish you everything best in your personal and professional life.